I'm getting questions from 38 degrees members about my attitude to the Transatlantic Trade and Investment Partnership. I am absolutely opposed to TTIP and delighted that there is a growing awareness of the dangers it represents. TTIP opens up all public services to the threat of privatisation, not just health services, which is why I think it has been a weakness in much of the campaigning around the issue to concentrate only on removing health services. In any case, as you correctly point out, the NHS will still be at risk no matter what exclusions governments claim to have secured. The Trades Unionist and Socialist Coalition is fundamentally opposed to privatisation and is in favour of bringing privatised services, such as transport, energy, communications into democratic public ownership, along with the banks. TTIP would be a serious obstacle to carrying any of that out. It is a threat to democracy; it is a shift in power from elected governments to giant corporations. 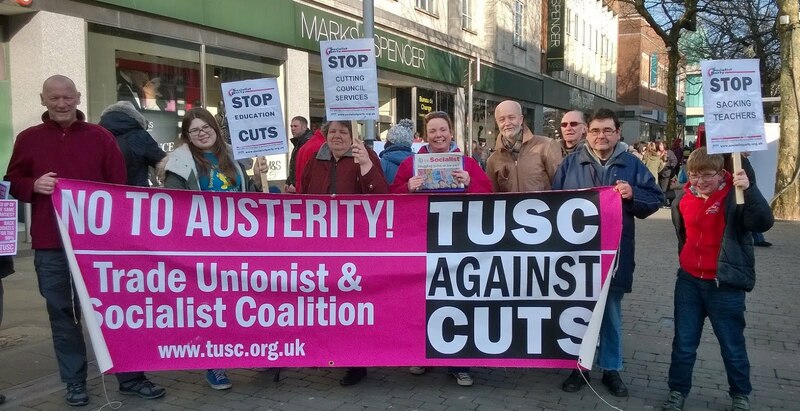 TUSC calls and campaigns for a rejection of TTIP.